On August 23rd of this year I had the pleasure of providing invited testimony before the Special Committee on Electoral Reform. The committee is presently considering three voting reforms – adoption of a more proportional voting system, online voting and mandatory voting. Given my research focus on election technologies I discussed my findings on online voting and what we have learnt from jurisdictional experiences in Canada and abroad. I think it’s important to speak to online and mandatory voting in particular, since much of the electoral reform dialogue has centred on voting system change. In my comments I discussed the implications of online voting for the guiding principles of accessibility and inclusiveness, engagement and electoral integrity. There are five guiding principles informing this debate and these are the three that best apply to the topic of online voting. These principles are important because all potential voting reforms have trade-offs. One reform may deliver better in one area, while not at all in another. To make a determination about whether to reform or not we need to decide which principles we weight most heavily when it comes to federal elections in Canada, and choose option(s) that play to those areas. 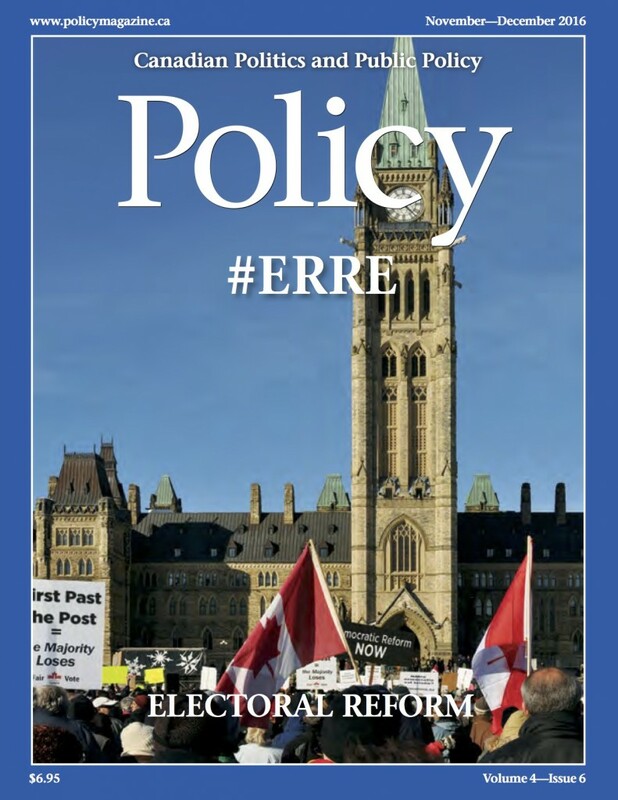 A revised version of the comments I made in my testimony has been published by Policy Magazine as part of a Special Issue on Electoral Reform. You can read more about my research and feedback on the importance of discussing online voting by clicking here. For a broader perspective on the topic, you can find several different articles by prominent speakers within this field in the new issue. In addition, if you missed my testimony to the committee, you can view it via the CPAC Digital Archives by clicking here.